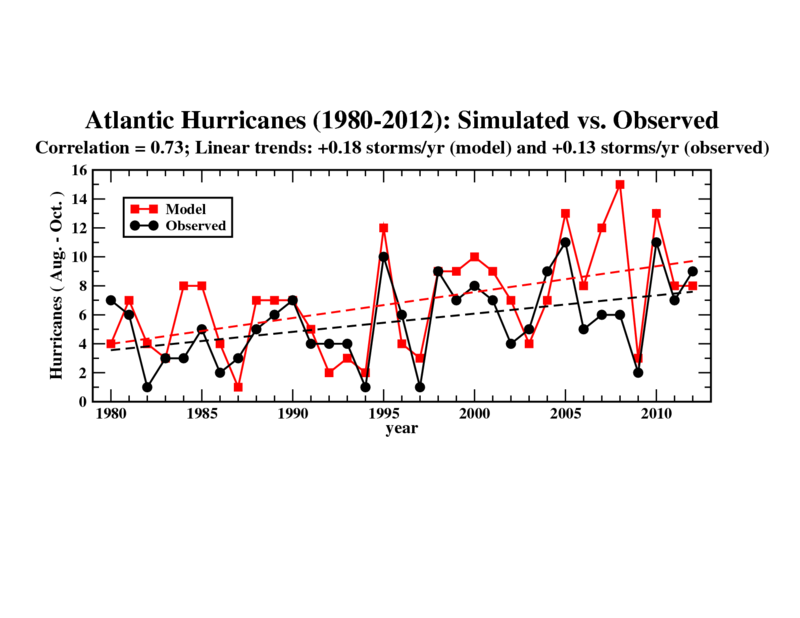 Two different statistical models of Atlantic hurricane activity vs sea surface temperature (SST). 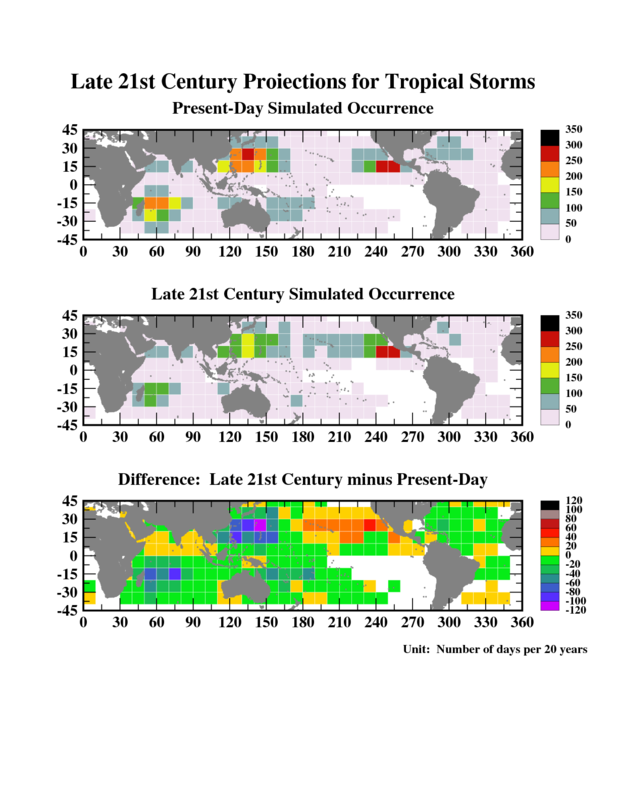 The upper panel statistically models hurricane activity based on “local” tropical Atlantic SST, while the bottom panel statistically models hurricane activity based on tropical Atlantic SST relative to SST averaged over the remainder of the tropics.Both comparisons with historical data and future projections using this approach are shown. See Vecchi et al. 2008 for details. 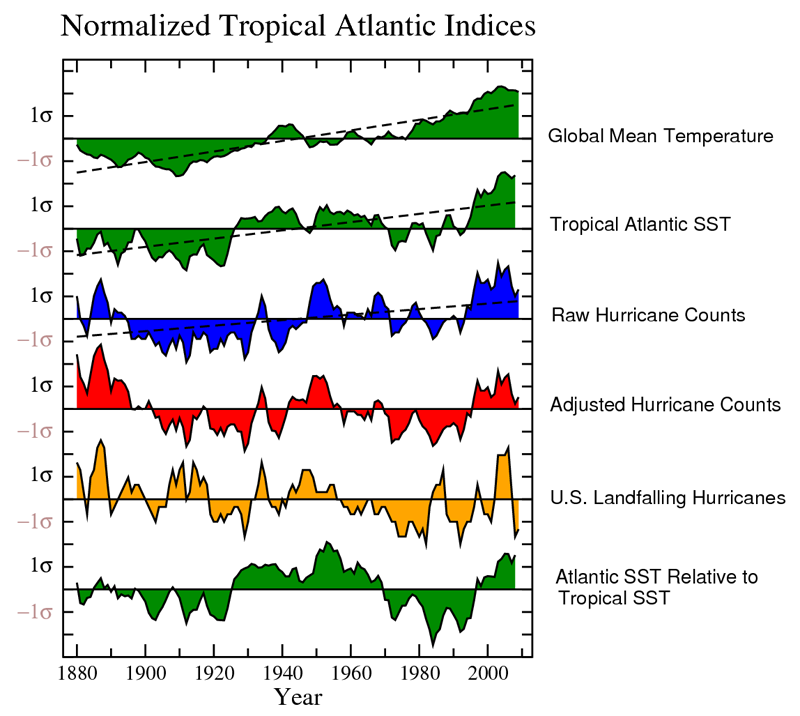 Five-year running means of tropical Atlantic indices. Green curves depict global annual-mean temperature anomalies (top) and August-October Main Development Region (MDR) SST anomalies (second from top). 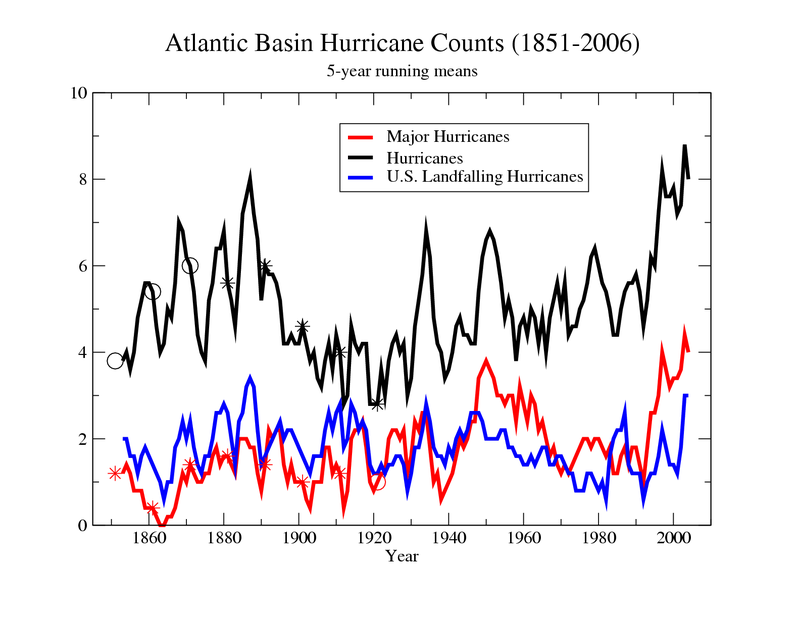 Blue curve shows unadjusted Atlantic hurricane counts. 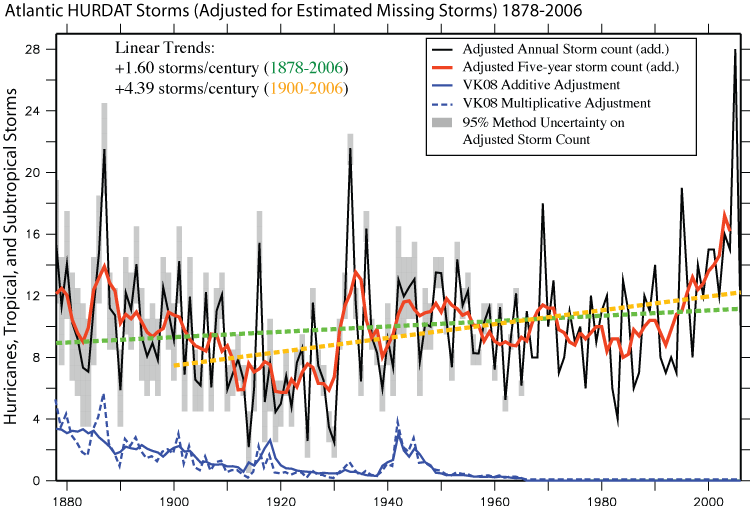 Red curve shows adjusted Atlantic hurricane counts that include an estimate of “missed” hurricanes in the pre-satellite era. Orange curve depicts annual U.S. landfalling hurricane counts. Bottom green curve depicts August-October anomaly of MDR SST minus tropical mean SST. Vertical axis tic marks denote one standard deviation intervals (shown by the ? symbol). Dashed lines show linear trends. Only the top three curves have statistically significant trends. 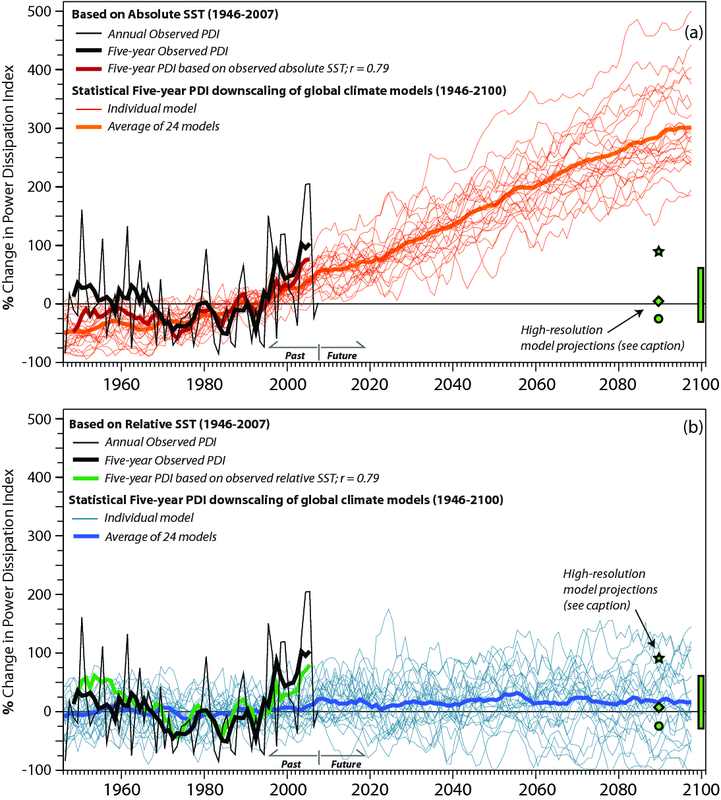 Source: Journal of Climate, vol. 24, 1736-1746 (2011). 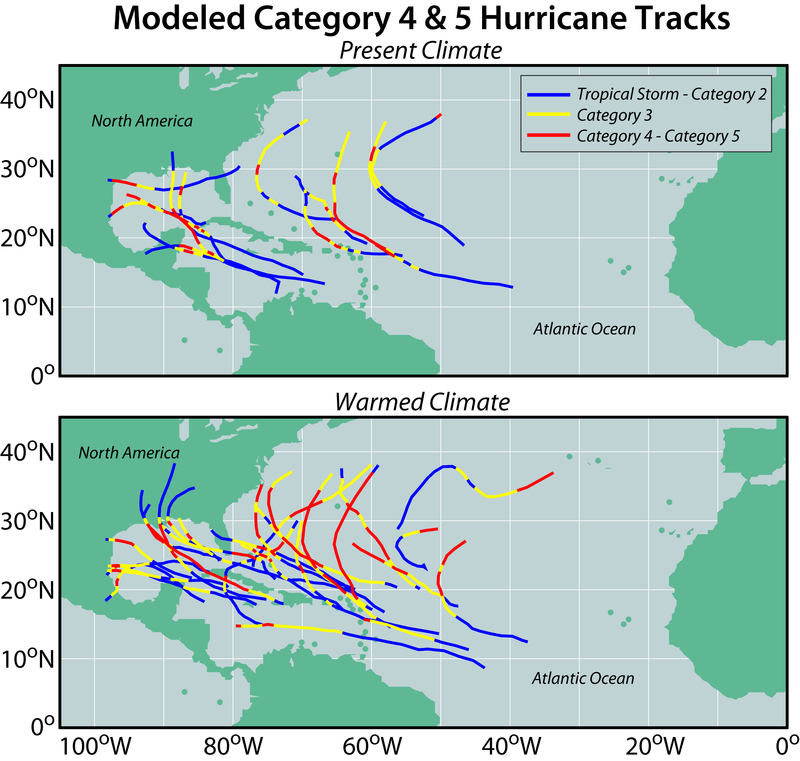 Tracks of simulated Atlantic Category 4 and 5 hurricanes for the present climate and for a warmer climate condition projected for the late 21st century. 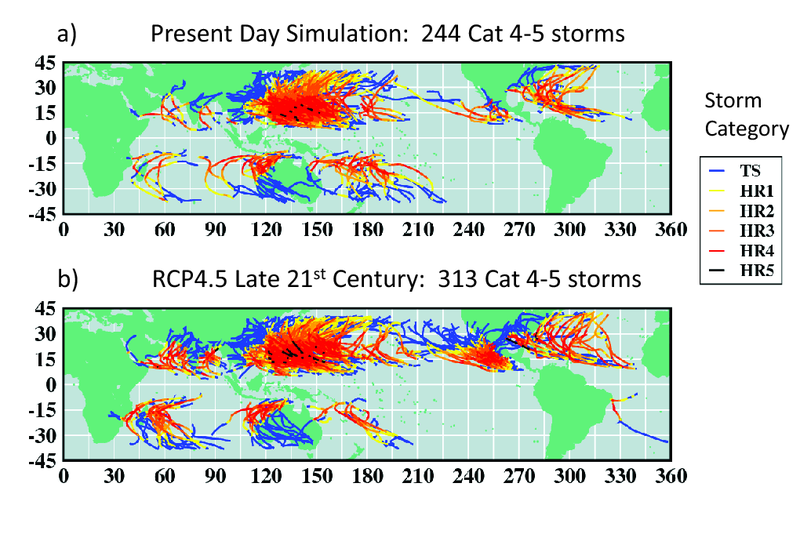 The hurricanes were simulated using higher resolution atmospheric models, with large-scale conditions taken from an ensemble of 18 global climate models. Source: Bender et al. 2010. 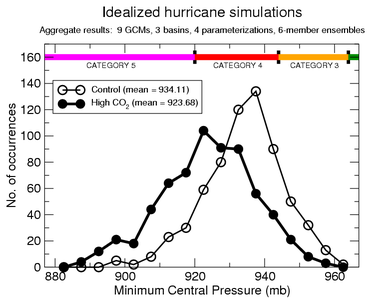 Comparison of simulated hurricane intensities for present-day (thin line) and future (thick line) climate conditions assuming an 80-year build-up of atmospheric CO2 at 1%/yr compounded. 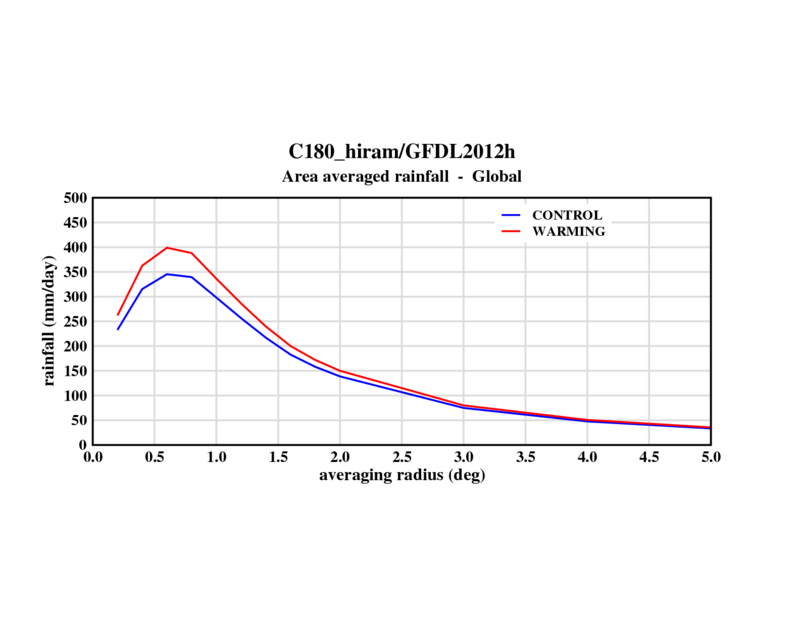 The results are aggregated from sets of experiments using nine different global climate model projections and four different versions of a high-resolution hurricane prediction model. Sea surface temperatures (SSTs, light contours and color shading, in degrees Celsius) and sea level pressure (dark contours, in millibars) from an idealized coupled hurricane model/ocean model experiment. The “cool wake” in SSTs produced by the hurricane is indicated by the lower SSTs to the east-southeast of the storm. The storm motion is toward the west-northwest.